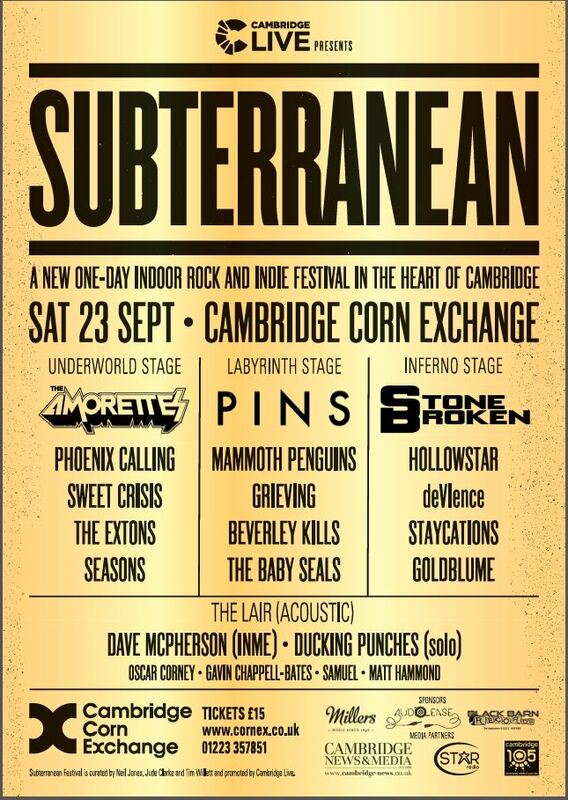 In a months time I’ll be performing at Subterranean, a one day indie and rock festival taking place at the Cambridge Corn Exchange. It will be my first time performing at this legendary venue and the first time for this kind of festival in the city so, unsurprisingly, I’m very excited to be part of it. 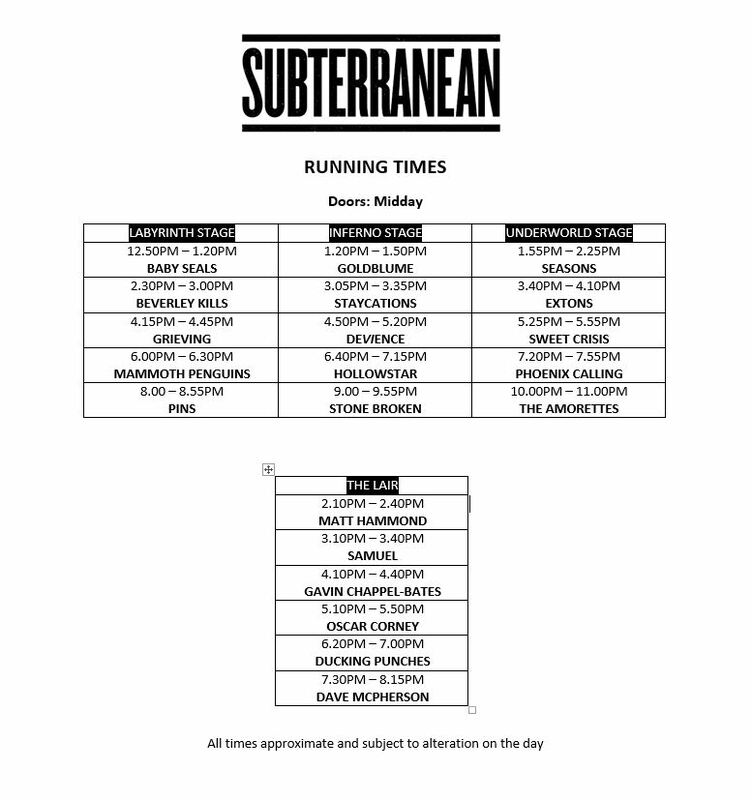 Tickets are selling fast so make sure you get yours ASAP. If you are intending to come and haven’t got your tickets yet then drop me a quick message and I may be able to help you get them cheaper. I’ll be performing alongside the likes of Oscar Corney, Goldblume, The Staycations, Beverley Kills, Mammoth Penguins, PINS, Hollowstar, Stone Broken, The Amorettes, Matt Hammond and Dave McPherson. So how does it all work and why is it different? 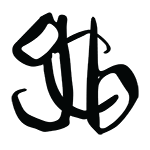 Downstairs in the main auditorium of the venue there will be three main stages – the Labyrinth Stage, Inferno Stage and Underworld Stage. Once an act finishes performing on one of these stages, the next act will start a few minutes later on the next stage. The audience will be in the middle so all they have to do is shift round slightly. There will also be an acoustic stage upstairs in the bar called The Lair. I’ll be performing on this stage at 4:10pm. As well as loads of great music at the festival, there will be food stalls, both inside and outside of the venue, shops, chill out areas and bars in the main auditorium where the three main stages will be. This is the first of its kind in Cambridge so make sure you don’t miss it. You can find out more on the official Facebook page.